first of all you need to cut down the deck by at least 3 cards a_a second of all i would suggest you add 1 or 2 spellbook towers. also add the third life. spellbook of fate is kinda bad as it removes on of your spellbook's and there are already alot of cards in your deck that do that but if u do decide to put it in run more eternity's and maybe more other cards to bring them back. if you dont know anything to get rid of get rid of all the traps and put 1-2 decree instead as long as you dont cross the 43 border. thats pretty much all i have to say in this e_e the rest could all work. If you're gonna run fate, you need another eternity. Like really bad. Also, not sure how much you need that magical dimension. Sure it's nice and all, but you can already bring out your powerhouses with temperance, and blow stuff up with her, and you might wanna drop star hall for another spellbook tower. And lastly, I would suggest going either trapless, or decree only, to cut down deck size. 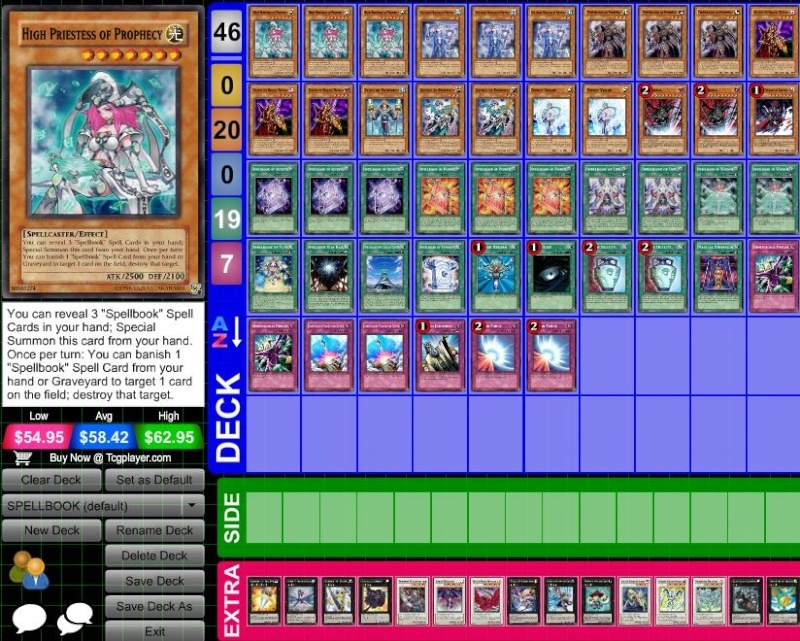 I have no idea what I'm talking about with this deck, but I hope this kinda helps.